The Crown Automotive 50" LED Light Bar Windshield Bracket Kit; Fits RT28084 (50" LED Light Bar) and other Light Bars as well. This Bracket set mounts using the Factory Windshield Hinge Bracket Holes; Includes Hardware and Rubber Isolators. 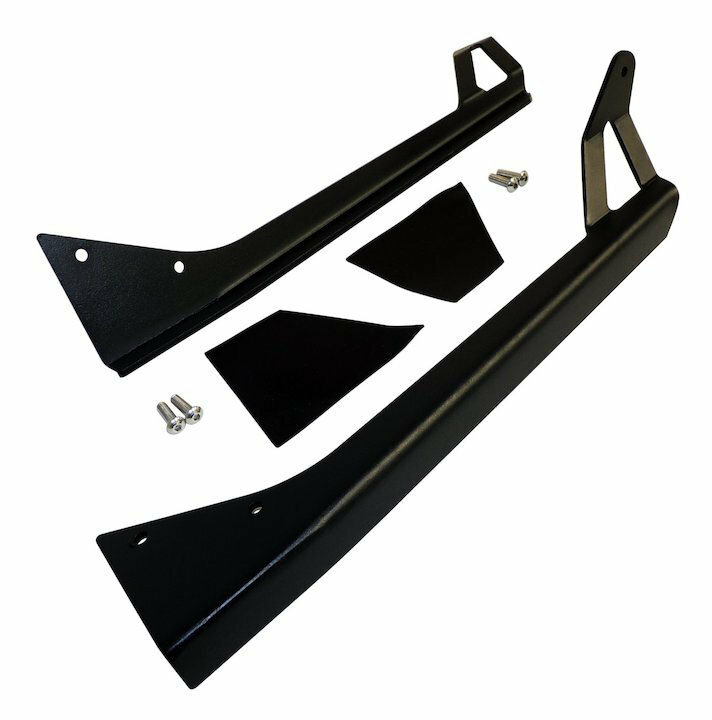 Construction and Durability: This Light Bar Bracket Set is made of steel and has a durable black finish. Mounting: The Light Bar Brackets use existing mounting locations on the windshield pillars for a super clean installation.